Refreshing and energizing, eucalyptus globulus is cooling, refreshing. Eucalyptus globulus has a higher 1,8 Cineole content than other eucalyptus oils. Eucalyptus is commonly used as a decongestant. Throughout history, Eucalyptus has been used in bug and mosquito sprays and decongestants. 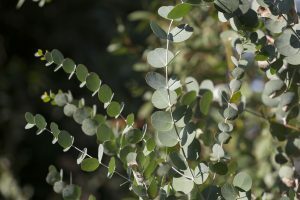 There are hundreds of varieties of the Eucalyptus plant. Eucalyptus globulus should not be used on children. Eucalyptus is a tree in which the leaves and twigs are collected to extract the essential oil. The leaves (main oil source) are leathery, and fragrant. There are 8 types of Eucalyptus trees that the oil is taken from. The most common is Eucalyptus Globulus. These trees are found exceptional for their oil and their height. They can grow up to 100 feet in just 10 years. It is commonly found in Australia, Tasmania, China, Spain, California, and Brazil. The Aborigines used Eucalyptus as a cure-all, especially for colds. People with poor health, would move to areas full of these trees. Eucalyptus encourages, liberates, stimulates emotional healing and feelings of wellness. Helpful to those who are attached to illness in identity, clingy, defeated, seek escape, feel powerless. If using Eucalyptus for emotional wellness, try using it with our free EFT Tapping scripts for Stress Relief and Clearing Generational Patterns which help release these emotional issues. Eucalyptus globulus, organic blends well with bay laurel, bergamot, cypress, cajeput, cedarwood, camphor, german chamomile, roman chamomile, geranium, ginger root, grapefruit, peppermint, lavender, lemon, juniper, lemongrass, petitgrain, pine, ravensara, rosemary, sage, tea tree, tangerine, thyme. For external use only this is considered toxic if taken internally. 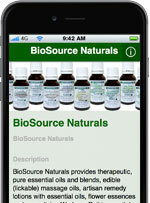 See our Safety Information page for further details when using essential oils.